Many of us would do anything to save our pets, and sometimes our dedication can be put to the test. Thankfully, after this cat was frozen in the snow, veterinarians spent hours saving her life. Fluffy’s owners returned to their home in Montana when they found a strange sight. It was their pet cat, Fluffy, but she was injured and had buried herself into the snow. They immediately began to panic but knew they had to get her to the vet’s clinic right away if she stood a chance. The vets immediately began working to defrost the cat’s fur. To start, they ran Fluffy under warm water before using warmed towels from their dryer. Although she had a heartbeat, Fluffy was so cold that her temperature wouldn’t even register on the thermometer. Usually, it should be 101 degrees Fahrenheit. Things didn’t look good. Thankfully, the team were determined to bring Fluffy back to life. 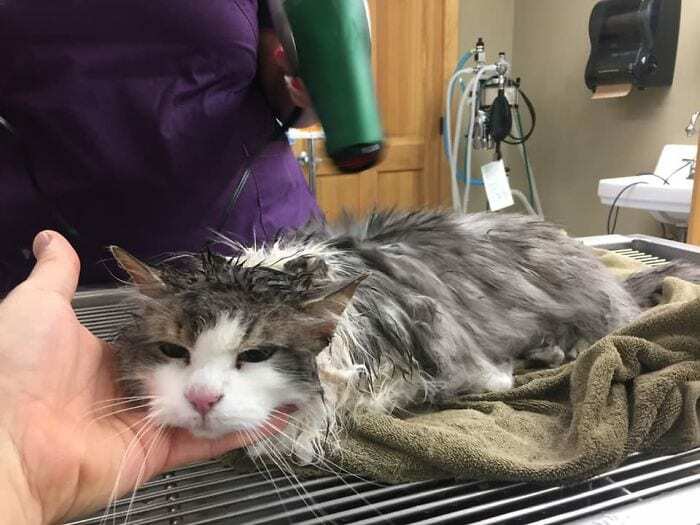 The cat was pretty much frozen, but they continued to use heating pads and hair dryers until she was warm enough to insert an IV drip. However, even after two hours of work, Fluffy’s temperature was still worryingly low, and everyone began to worry. The cat was eventually taken to the emergency room where the team continued to use all their magic to help her recover. After many more hours in their care, Fluffy was eventually back up and standing. At last, it seemed as though the precious feline was going to make a full recovery. 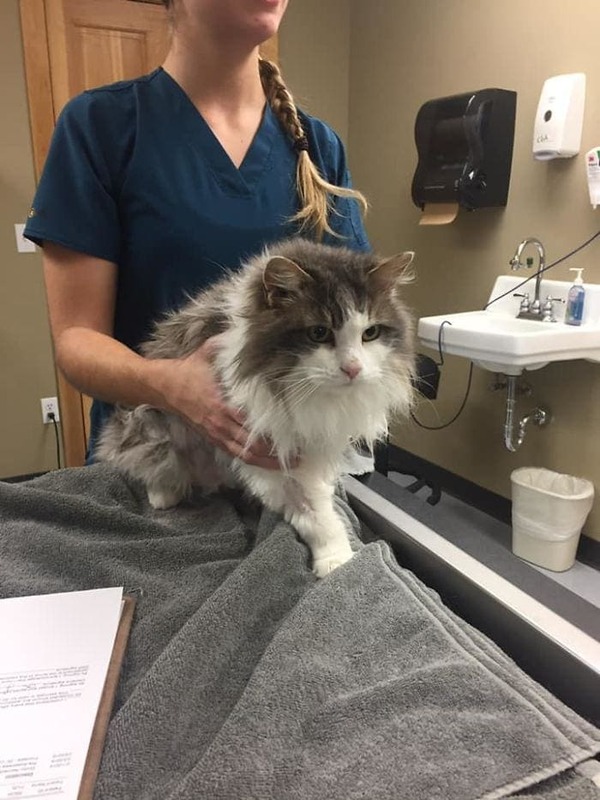 The vets worked around the clock until they knew that Fluffy was going to recover. However, they needed to praise her owners for their quick thinking. Cold weather can be hazardous for animals, and they warned how trying to help save Fluffy at home could have meant it was too late. Seeking professional help was the only way to ensure she was back on her feet. While many of us love the cold weather, it seems as though our pets might not enjoy the snow quite as much. Thankfully, the work of the dedicated team means that Fluffy will be able to live her life to the fullest once more.